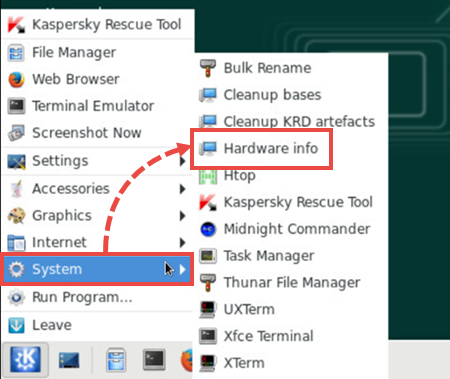 When you load Kaspersky Rescue Disk in the graphic mode, some of the hardware, such as a wireless adapter or touch screen may not work. 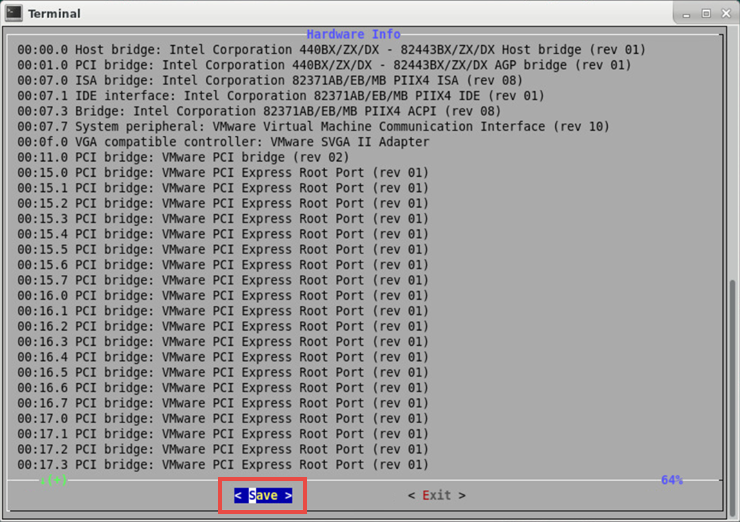 Open the system menu and select Hardware info. Open Product folder and find the generated file. 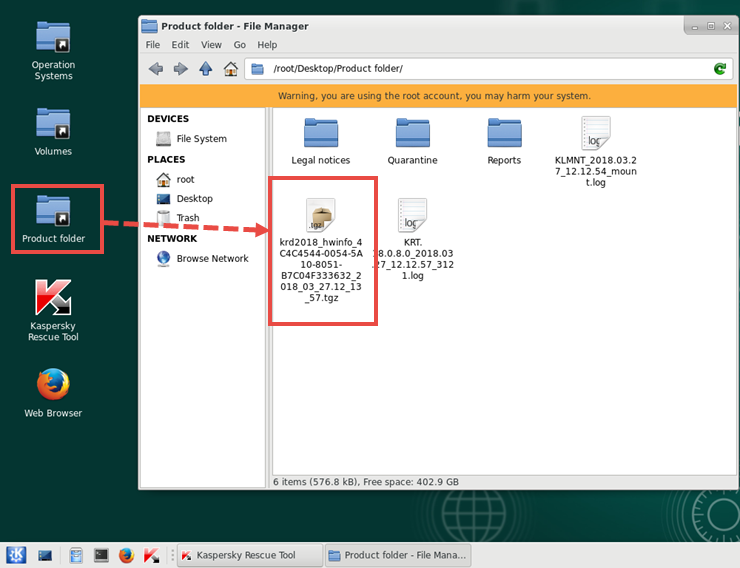 The product folder named KRD2018_Data is located in one of the hard disk sections of your computer. The default path is C:\KRD2018_Data.